Hi there!! Before we get to this week's block - I wanted to let you guys know we will be doing a Christmas Mystery Quilt! You can find all the information right HERE! 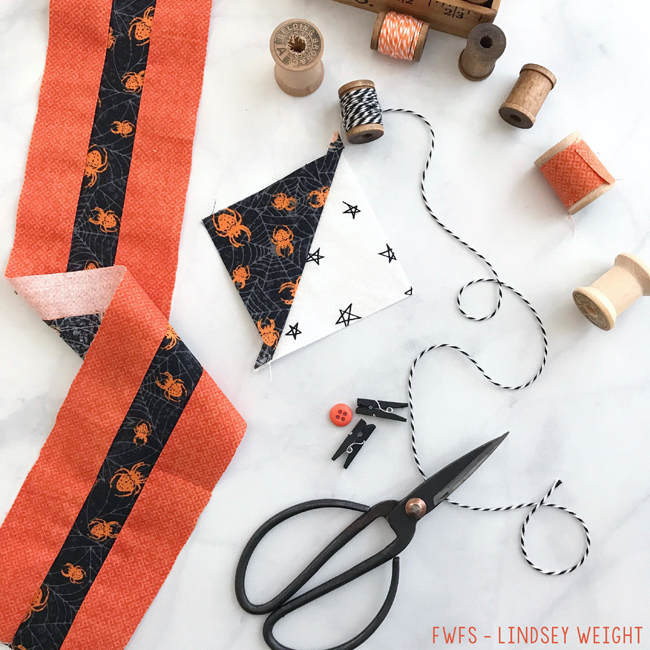 Today I am sharing the next steps in the Halloween Mystery Quilt! Last week, I shared the Square in a Square blocks - you can find all the information for that block HERE. Remember to tag us in your pictures on Instagram and use #halloweenmysteryquilt -- so we can see your pics and share them! Alright, are you ready for this week's block? You will make 4 Half Square Triangle Blocks & 4 Border Strips. 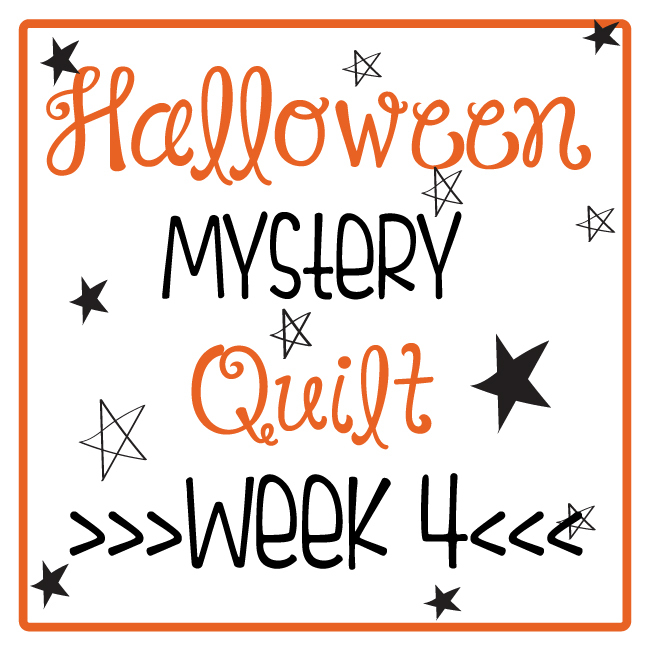 Be sure to post your pics on Instagram and use the hashtag: #HalloweenMysteryQuilt --- we want to share your pictures on our Instagram page!